Make your meditation corner a tranquil haven by covering the basics. These tips and tricks will create a meditation nook that helps you stay focused on your journey. 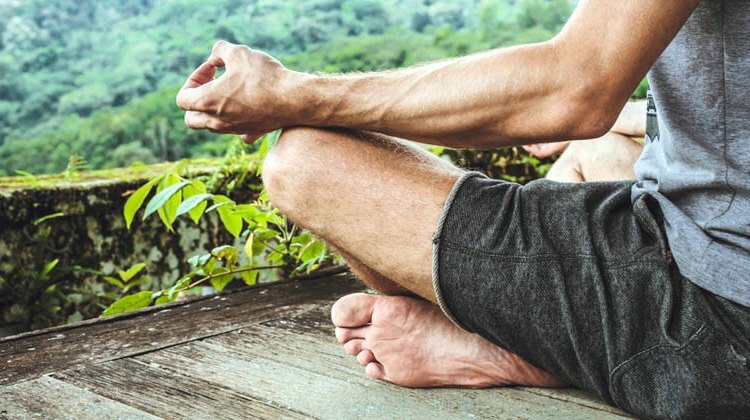 Check out these meditation space essentials to enjoy a meaningful meditation session every time. To avoid any loss of focus, it’s important to meditate in an area with little to no noise. Be mindful of the kind of room when you’re choosing a meditation corner; make sure it isn’t a place where people can come and go as they please. The best option is a secluded room at the corner of the house, one with ample sunlight, a quiet stillness, and comfort. It’s also a good idea to take note of the time during which you’ll be using your meditation corner. Minimize distractions by meditating during those times when your household isn’t chaotic. Refrain from meditating in the living room in the afternoon, when everyone is coming home from school or work. Avoid the kitchen when everyone’s preparing to have breakfast. Remember, the goal is to keep your focus so you can practice self-awareness‎. Loud noises or soft footsteps can be distracting, resulting in a not-so-fruitful meditation session. It’s hard to meditate in a cluttered room. Piles of clothes, scattered books, and a messy desk can wreak havoc on your meditation practice. Keep your meditation space clean at all times. The only essential items are the following: a pillow, a mat, and some music. You can do away with everything else. A clean room eases your mind and helps you maintain focus during your session. When you’re in a neat space, mindless thoughts won’t clutter your mind. You also aren’t weighed down and reminded of the items to check off your to-do list, such as cleaning the messy room. Meditation is a treat for the senses in more ways than one. This means it’s not enough to have a clean meditation corner; enhancing the room’s ambiance is just as important. Set the mood by creating a playlist of meditation music. The Internet has several playlists from which you can choose. Avoid music that tempts you to sing along with the lyrics. Instead, stick to the soothing sounds of nature, such as waterfalls, rivers, waves, rain, or birds. Remember, the goal is to put yourself at ease to fully connect with your surroundings. A little scent can go a long way. Relaxation is one of the biggest advantages of keeping your meditation corner well-scented. Burn incense sticks or light candles, then place them in your meditation space. Scents like lavender, chamomile, and sandalwood work best for relaxation. Peppermint and eucalyptus are good choices as well. Experiment with scents that make your mind and body calm and relaxed. A meditation corner can be personalized according to your preference. You can choose to add a few of your favorite crystals, pillows, and other elements to make it a more relaxing nook. You may also want to paint the room a certain color. Lavender, pale pink, cool blue, light green, and pale gray are popular stress-reducing shades. You must feel comfortable in your meditation space. What are the items you’d like to have in your meditation corner? Share them with us in the comments section below!